Piotr Naszarkowski was born in Warsaw, Poland in 1952. He grew up in an artistic family. His father was an architect, his mother an actress and his sister a visual artist. From an early age, Piotr showed artistic talent too, especially when it came to drawing. In 1975, he entered the Academy of Arts in Warsaw, where he occupied himself mainly with painting. Whilst not directly interested in graphic art, he did want to become a cartoonist, but was advised not to, but instead to continue his painting. While at the Academy, Naszarkowski met his future wife, who worked in the theatre. It made him rethink his artistic future once again and eventually he decided to become a scenographer. In 1980, Naszarkowski finished his studies with a degree in amongst others Theatre and TV Scenography. By then, he had already worked for a well-known puppet theatre in Warsaw for two years, and soon landed a job as an assistant scenographer for Polish television. But his career was cut short when a political crisis in December 1981 led to the militarisation of the Polish media, which meant that Naszarkowski, together with most of his colleagues, was laid off. Theatres were also closed as they were seen as meeting places of opposition factions, so Naszarkowski’s options ran out pretty quickly. By chance, Piotr heard about a vacancy for an engraver at the state printers in Warsaw. Applying, just for the heck of it, Naszarkowski soon found himself hired without even being able to engrave! What helped him, though, was that he was keenly interested in the art form, having studied the work of various classic engravers such as Rembrandt and Callot. Naszarkowski joined a team of three in-house engravers and spent his first year learning the ropes. 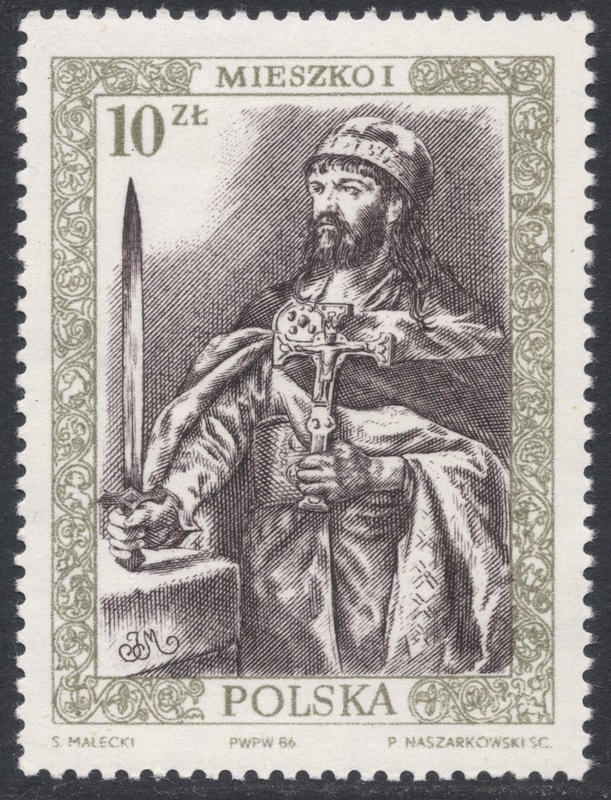 He received his training from the Polish engraver Barbara Kowalska. 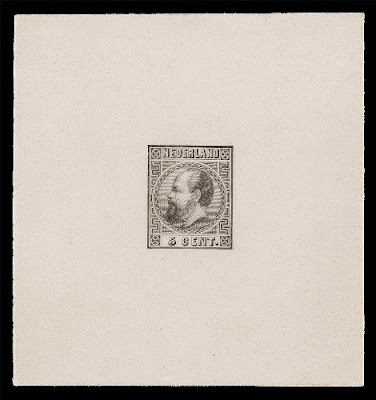 During this time he studied with care the many stamps engraved by his fellow countryman, Czeslaw Slania, who had moved to Sweden in 1956 and had acquired a position of eminence throughout the years, because of his unrivalled engraving talent. Although Naszarkowski was given a full-time position, there was usually not enough work to go round. 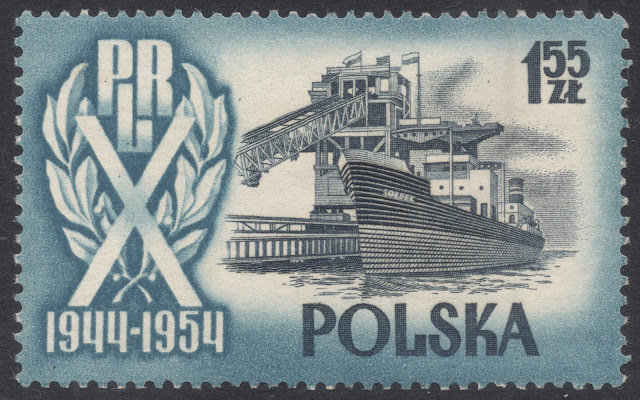 Poland only issued a few engraved stamps per year, and in the time Naszarkowski worked for the state printers, he engraved less than ten stamps. His first one was issued in 1985, marking the 40th anniversary of the Polish Navy. 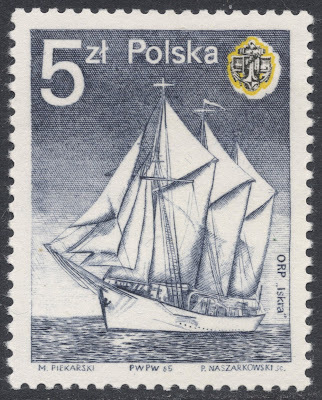 The single stamp depicted the cadet ship Iskra. 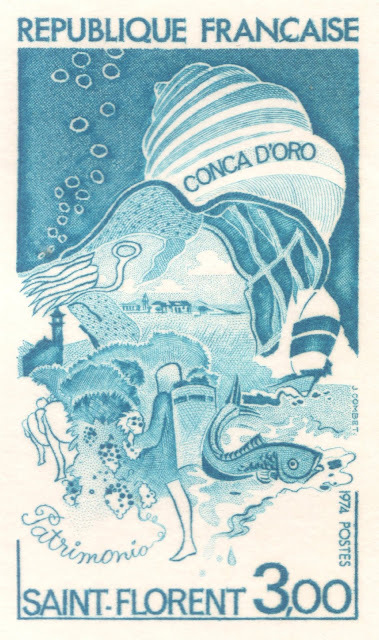 To kill time, and to gain experience, Naszarkowski started engraving ex libris book plates. 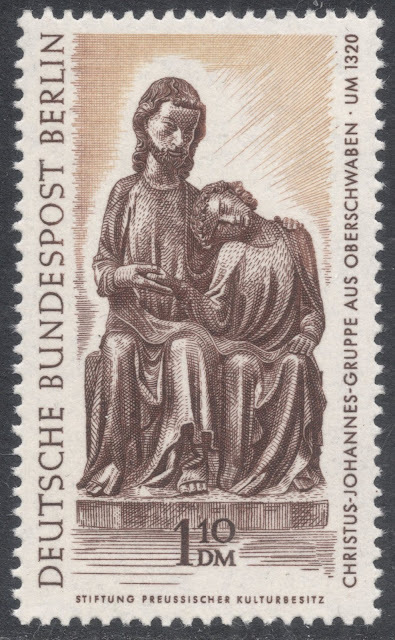 He sent his first one, engraved in 1983 and depicting Lucas Cranach, to a competition in Germany. 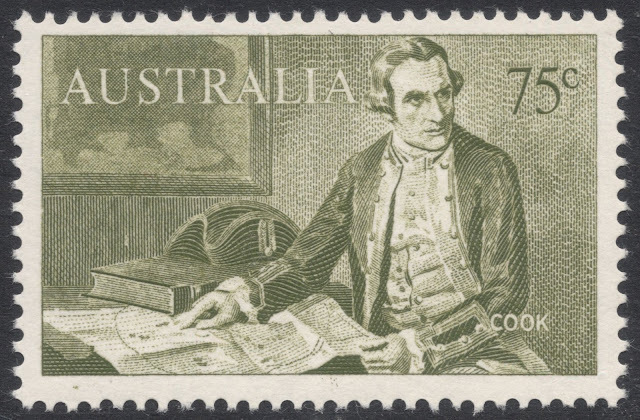 His entry was not accepted because the engraving did not include his name, which was one of the stipulations, but it was featured in the magazine ‘Graphia’, after which Naszarkowski received many requests for bookplates from all over Europe. 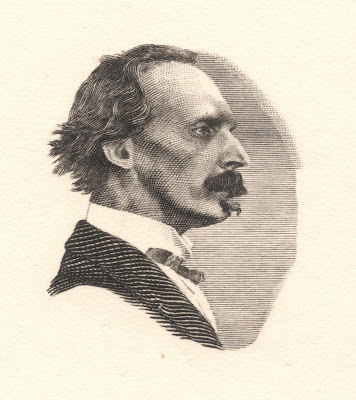 Naszarkowski once said in an interview that although in general the quality of the engravings in Poland was very good, the printing facilities were not, so the end result was usually left wanting. 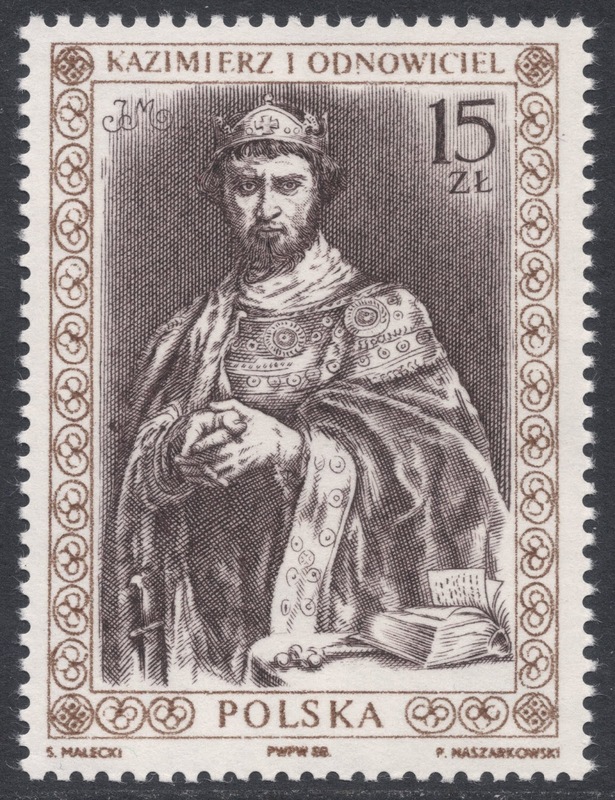 The stamps Naszarkowski engraved for the annual series of Polish Rulers are arguably his best work done for Poland during those years. He engraved the portraits of Mieszko I in 1986, Kazimierz I in 1988 and finally Boleslaw II The Bold in 1989. 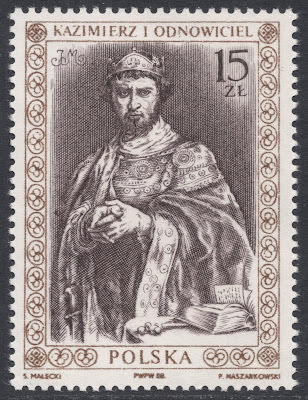 There is a fourth stamp in this series, a 1500z on 50z stamp from 1990, portraying Wladyslaw II The Exile, which bears Naszarkowski’s name, but this stamp was not engraved by him. By that time he had already moved to Sweden, and Naszarkowski has said it’s anyone’s guess who might have engraved that particular stamp, but it certainly wasn’t him. In 1989, Naszarkowski followed his compatriot Slania to Sweden, but for very different reasons. Whilst Slania fled an oppressive regime, it was Cupid’s arrows which brought Naszarkowski to Sweden! However, seeing that even stamp engravers cannot live on love alone, Naszarkowski had to try and find employ in his new homeland. His initial attempt to find work at the printers Tumba failed. He did, however, find work as an illustrator for a children’s book, collaborating with designer Inga-Karin Eriksson, who also provided a link to the Swedish Post. When Naszarkowski himself contacted the Swedish Post, they told him he had to learn Swedish first and then come back to see if there was work for him. It took him half a year before he returned, did his test and was duly employed from April 1990. While Naszarkowski was never an official pupil of Slania, he did study the master’s work very thoroughly, and was rather proud and happy to be working with him. 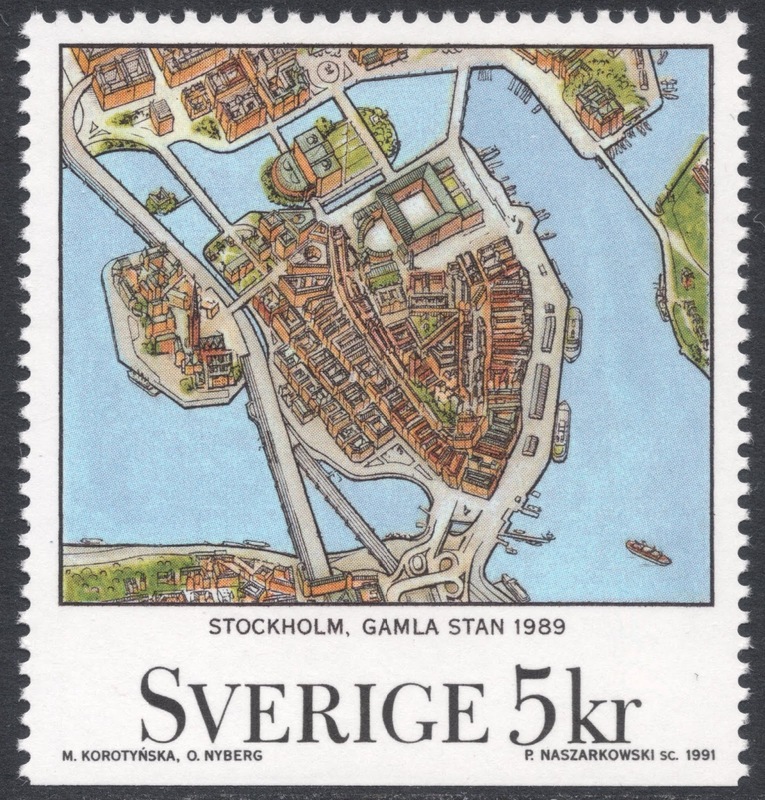 Naszarkowski’s first issued stamps for Sweden date from January 1991, comprising three values of the ‘Maps’ set. 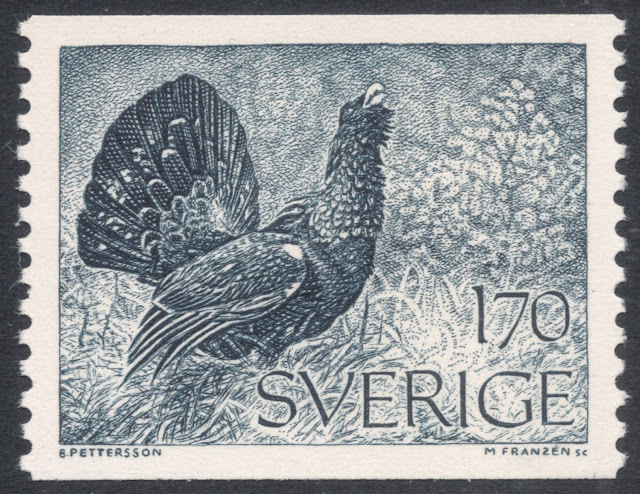 They were followed quickly by what was actually Naszarkowski’s first work for the Swedish Post: the engraving of Drottningholm Palace, as part of the high value series of palaces and castles. 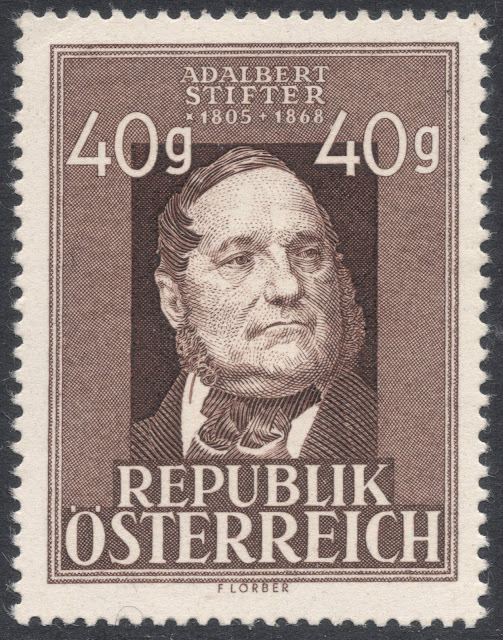 These would normally have been engraved by Naszarkowski’s colleague Zlatko Jakus, but he was abroad a lot and sort of on his way out anyway, so Naszarkowski got the job. 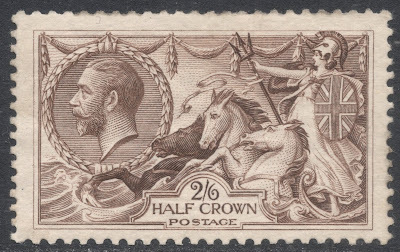 It wasn’t the easiest of consignments, though, with a value change halfway through the process meaning a lot of extra work, and the final colour scheme deviating from the original, more accurate colours, yielding a rather pale stamp. Both Naszarkowski as engraver and Inga-karin Eriksson as designer felt that the end-product did not live up to their expectations. 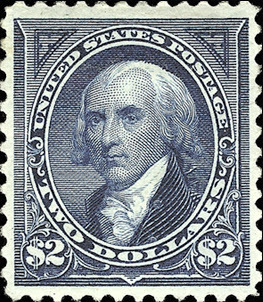 Nevertheless, they went on to collaborate again on various architecture stamps. In 1994, their joint attempt at yet another of those high value castle stamps, depicting Vadstena Castle, never made it beyond the die proof stage, but in 1996, they created three stamps as part of the annual ‘Traditional Buildings’ series. Although well enough received by the general public, Naszarkowski does not really rate them. This probably stems from the fact that the original designs were already so detailed that he merely had to engrave the lines already given, leaving hardly any room for any personal artistic input.